Pouring Wine Without Pulling The Cork – It’s Possible! Yes, it’s possible thanks to the Coravin Wine Access Sytem. Medical-device entrepreneur, Greg Lambrecht, used his experience to design a device which has a hollow needle that will prevent your wine from oxidizing once you pour the wine. How? Just clip on the device to your wine bottle and stick the hollow needle into the cork. This way you can pour the exact amount you want through the needle. After pulling out the needle, the cork will reseal itself which enables the wine to maintain its flavor. 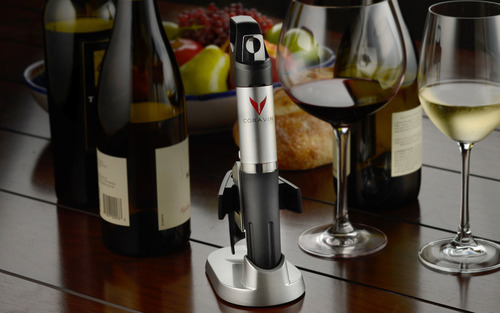 It’s a little bit pricy – $299 – but if you’re interested, go to http://www.coravin.com/.